Spring is in the air and we’re starting our trail run season this Wednesday. 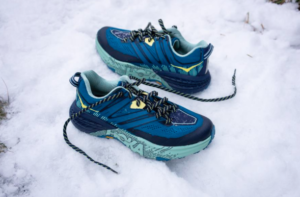 Hoka will be providing Challenger and Speedgoat demo shoes so you can fly on the trails. The run starts at 6:30 PM at Skyline Gate. Please be back to the parking lot by 7:45 PM. All paces and levels of runners are welcome!